A consortium of three Luxembourg-based companies lead by OQ TECHNOLOGY will develop, build and perform a demonstration in orbit of an innovative approach for satellite-based Internet-of-Things (IoT). Based on the In-Orbit Demonstration of a single satellite to perform experiments using the new technology in space, OQ TECHNOLOGY aims to build a global satellite constellation dedicated to IoT communication by leveraging innovative wireless technology and using low cost connectivity solutions based on nanosatellites. The project is targeting specifically the oil and gas, maritime, industry 4.0 and transport segments particularly for the management and tracking of assets in remote areas, as well as providing high-value data analytics. 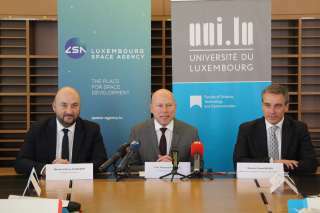 Managed by the European Space Agency (ESA), the funding provided for this activity under LuxIMPULSE, the Grand Duchy’s national space programme, amounts to a total maximum envelope of 6 million EUR. OQ TECHNOLOGY was founded in 2016 in Wasserbillig. 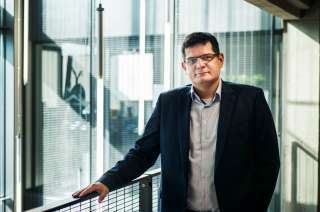 Using low-cost satellite infrastructure to connect sensors, devices and measurement units in remote and sparsely connected areas, the company recently moved to Vodafone’s Innovation Centre “Tomorrow Street”. 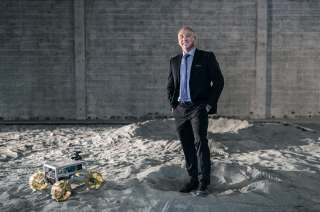 The consortium also includes EmTroniX, a company specialized in electronics development and GomSpace, a globally leading designer, integrator and manufacturer of high-end nanosatellites. Within this project, EmTroniX will be developing the payload and user terminals hardware, whereas GomSpace will be designing and building the satellite platform. OQ TECHNOLOGY will be developing and designing the full system, developing the software for the payload and user terminals and finally demonstrating the satellite and the data analytics platform.